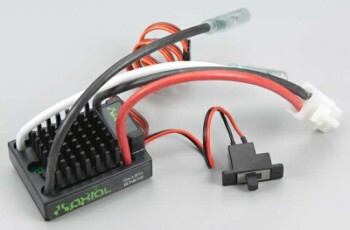 Axial AE-2 Forward Reverse ESC w Drag Brake. It worked for at least two stock battery runs and stop working. I've had better luck with others but not with this purchase. Sent in for replacement, hope it will get replaced.